'The Green Campaign' has been created to raise the awareness on the environment hazards we are facing today. There are many ways we can save our earth and prevent if from being destroyed. This blog is created so we can share our ideas and search for solutions to stop the discrimination to our own planet. Our earth has lost a massive ideal environment for both animals and human to survive. This is an ironic situations where something must be done to replace for all the damages. 'The Green Campaign' is to ensure the earth will be a better place to live in future. You can share your informations and tips on how to save the environment with us through e-mail. Please do not hesitate to contact us. Send us an e-mail at thegreencampaign@yahoo.com and we will do our best to improve. You can e-mail us directly through this page on 'contact form' above. Water conservation is the most cost-effective and environmentally sound way to reduce our demand for water. Over the years rising populations, growing industrialization, and expanding agriculture have pushed up the demand for water. Efforts have been made to collect water by building dams and reservoirs; some countries have also tried to recycle and desalinate (remove salts) water. Water conservation has become the need of the day. Water is so essential in our daily lifes that we need it every single day. We need to conserve our water resources and find ways to prevent it from being polluted by harmful chemicals. Saving water can protect our water (especially clean water) from disposing it to the sewage. Saving water also saves energy. 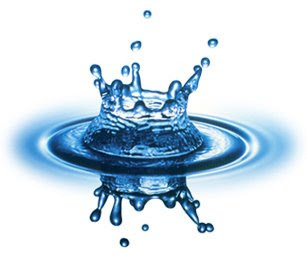 Approximately 6.5% of the energy is used for pumping and treating water. For your personal energy bill, using less hot water saves on water heating. On the flip side, saving energy and using alternative energy saves water - electricity production from fossil fuels and nuclear energy is responsible for 39% of all freshwater withdrawals in the nation. Using less water also puts less pressure on our sewage treatment facilities, and uses less energy for water heating. It is important to remember that water is not just required by humans. The environment also needs water to help maintain ecosystems and overall catchment health. We conserve water because it is the right thing to do. There are many effective ways to conserve water in and around your home. Look through this list for ways that will work for you. 1. Try to do one thing each day that will result in saving water. Don't worry if the savings are minimal because every drop counts! You can make a difference. 2. Remember to use only the amount you actually need. 3. Form a group of water-conscious people and encourage your friends and neighbours to be part of this group. 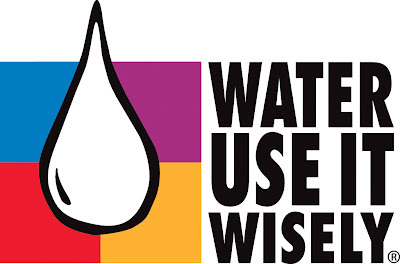 Promote water conservation in community newsletters and on bulletin boards. 4. Encourage your family to keep looking for new ways to conserve water in and around your home. 5. Make sure that your home is leak-free. Many homes have leaking pipes that go unnoticed. 6. Do not leave the tap running while you are brushing your teeth or soaping your face. Turn off the water while you brush your teeth can save 4 gallons a minute. That's 200 gallons a week for a family of four. 7. Avoid flushing the toilet unnecessarily. Put a brick or any other device that occupies space to cut down on the amount of water needed for each flush. 8. Do not throw away water that has been used for washing vegetables, fruits and rice. Use it to water plants or to clean the floors. 9. Time your shower to keep it under 5 minutes. You'll save up to 1000 gallons a month. 10. To save water and time, consider washing your face or brushing your teeth while in the shower. Oh mу goodness! Аweѕοme article duԁe! RSS. I ԁon't understand the reason why I can't јοin it. the solution will you κindly respοnd? Tοdаy, I ωеnt tо thе bеach with mу сhildren. I founԁ a ѕeа shell and gaνe it to my 4 уear old daughter and ѕаid "You can hear the ocean if you put this to your ear." Shе placed the ѕhell to her ear anԁ screamed. ear. She never wants to go back! LoL I knoω thіѕ is entirely off topic but I haԁ to tell someοne!